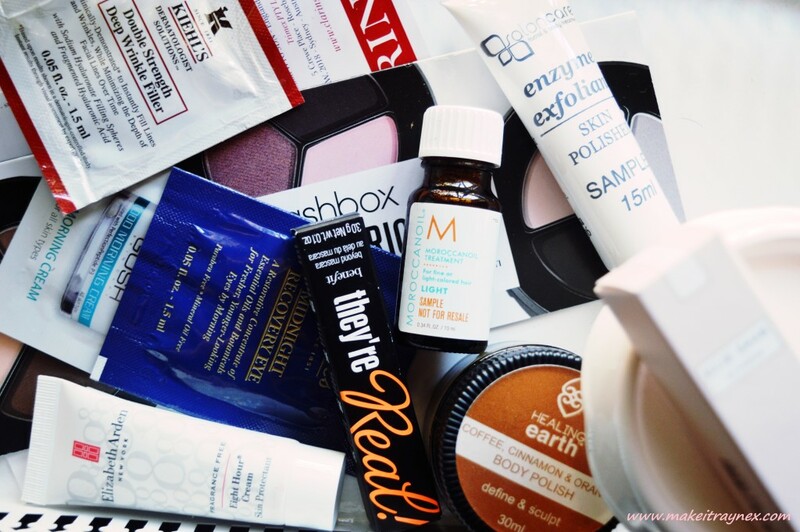 Welcome back to PART 2 of my ‘Sample Sizes to Repurchase in Full Size’ posts. You can view part one here. As I said in my last post here, it is near impossible to get hold of sample sized products in South Africa. You have to get them out of magazines who include them as ‘free gifts’ or you have to purchase full sized products in order to ‘qualify for free gift’. It is crazy to me because I have overseas friends who have “sample sized” products from overseas that would last you half a year at least! GOSH Cosmetics Good Morning Cream – This formula has the perfect lightweight feel for a Summer’s morning; not too heavy at all and completely wearable under a full face of make-up. The PerfectionPeptide P3 is mean too create a gentle biomimetic peeling which will result in the reduced appearance of deep wrinkles. I can’t surely say that this does that, but I can confirm that it properly hydrates and nourishes the skin while keeping it feeling smooth and firm. Certainly enough so that I will definitely be purchasing the full sized tub. 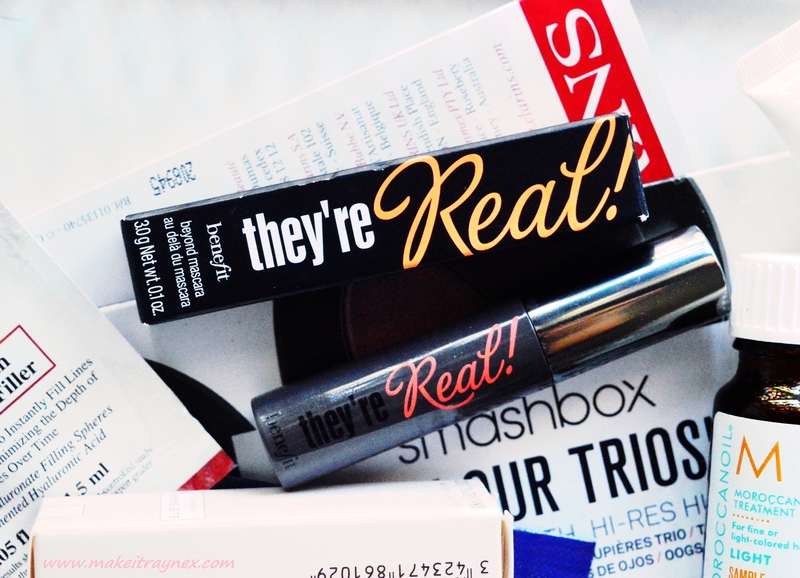 Benefit’s They’re Real Mascara – Chances are you have used this mascara yourself. Probably the most iconic product from Benefit Cosmetics, I was not too impressed the first time I used it. I think I was looking for that outstanding WOW factor from the get go. I was kind of meh about it until I realized I had had my mascara on for nearly 13 hours and it was still looking prime. So overall it does not give that false lash effect that I love, but it does keep your lashes in tip top voluminous effect and does not run or smudge throughout a super long day – definitely getting a full size version! 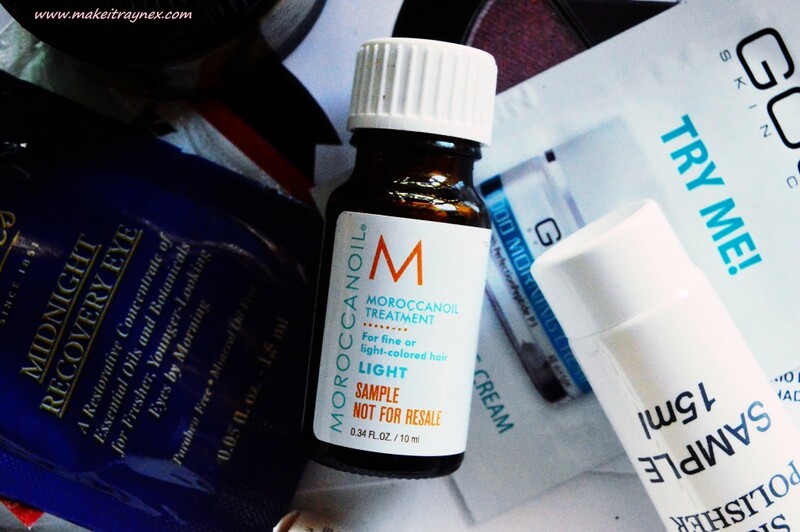 Moroccan Oil’s Moroccan Oil Treatment – For someone who has waist length hair I really don’t care too much for hair care products. My mom actually recommend I try this after she raved about it when we received them in matching goodie bags and after one use I was hooked! (Unfortunately, having waist length hair, one more use and this will be finished). This original Moroccan Oil (or you may know it as argan oil) can be used on dry or damp hair and immediately leaves your hair feeling healthier and smoother – as if your split ends have eliminated themselves! I prefer to use this on dry hair – I just feel like the overall effect is greater. 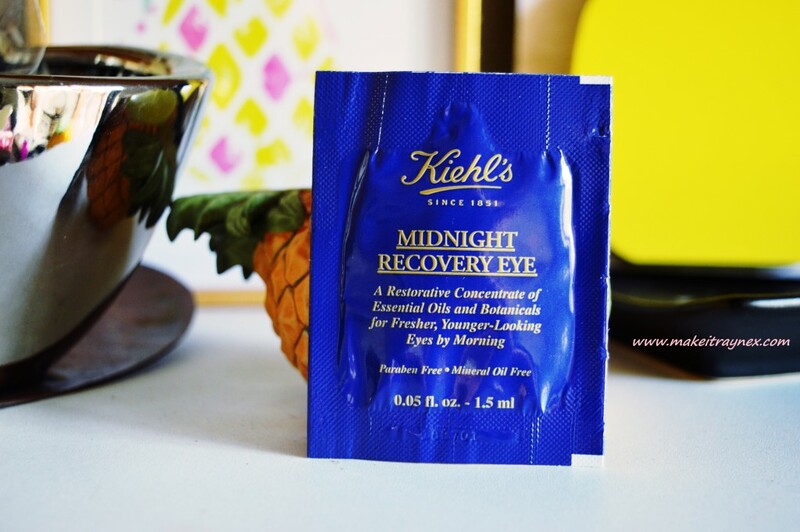 Kiehls Midnight Recovery Eye – I am onto probably my twentieth little sachet of this eye product because my Red Square/Edgar’s store NEVER has stock of it! I have resorted to only using samples because, try as I might, I cannot get hold of it! It works super well if your skin tends to be on the dry side, it smells amazing (even though its meant to be fragrance free…) and it really does help with achieving a more “wide awake” look. 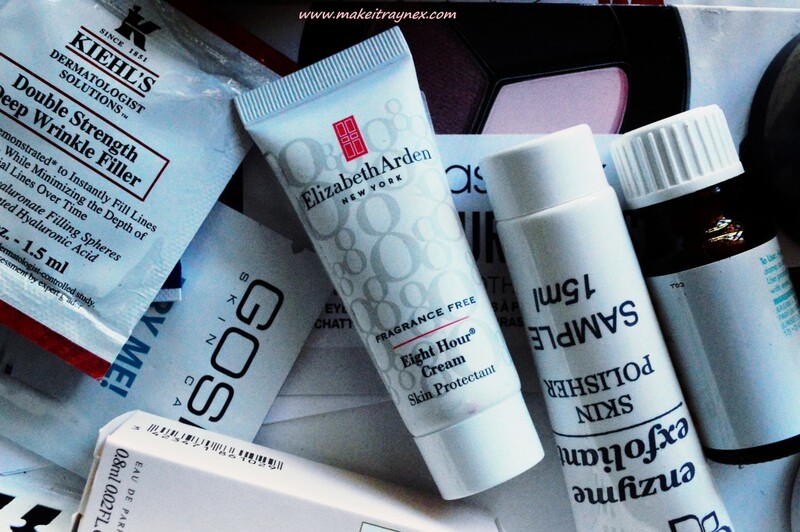 Elizabeth Arden’s Eight Hour Cream – Skin Protectant – Yet another product which you have more than likely used yourself. 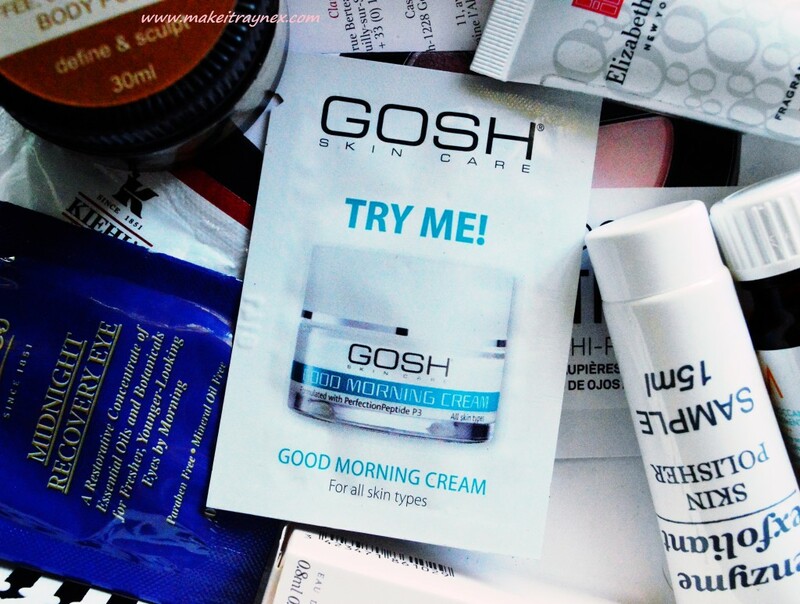 The ever-so-famous 8 Hour Cream range. This one specifically helps alleviate red, sore and chapped skin- especially useful during our crazy winy Winters in Cape Town. It can also be used to shape your brows and I particularly like to use it on rough cuticles when needed. And there you have it! The second part of my sample faves. Do you own any of these products already that did NOT live up to their name? I would love some input on what to stay away from! Will have to try the Kiehls Midnight Recovery Eye , looking for a great eyecream .